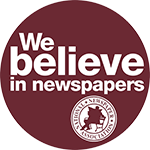 COLUMBIA, MO—For the fourth year in a row, Kidsville News!, a literacy and educational newspaper initiative based in Fayetteville, NC, has stepped up to sponsor the National Newspaper Association’s Newspaper And Education contest. “We thank Kidsville News! for its generous support in helping us recognize the significant role newspapers play in supporting community educational programs,” said NNA Contest Chair Jeff Farren, publisher of the Kendall County Record in Yorkville, IL. “This generous sponsorship will ensure each of the contest’s 10 first-place winners will receive a check for $100 and an award certificate,” he said. NNA believes successful newspaper education partnerships should be celebrated, so it has created this enhanced Newspaper In Education contest to highlight newspaper/school partnerships (levels Kindergarten through community college) that focus on developing fully informed citizens. Both traditional Newspaper In Education programs and non-traditional programs are eligible for entry. 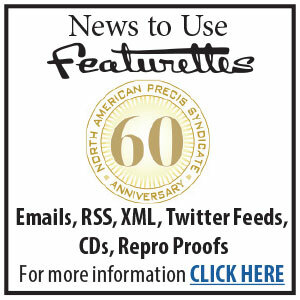 The contest is open to NNA member and non-member newspapers. It will recognize newspapers that have established internships, supported school programs, assisted student journalists and helped local education through activities that reach beyond news coverage. Entries must have been published or carried out between July 1, 2014, and June 30, 2015. The deadline for entries is July 1, 2015. More information can be found on NNA’s website (www.nnaweb.org/contests). 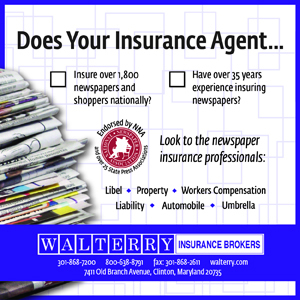 Contest winners will be informed if they have won by August 2015 and will also be acknowledged during NNA’s 129th Annual Convention & Trade Show, October 1-3, 2015, in St. Charles, MO. Newspapers interested in bringing Kidsville News! into their community, can find more information by going to kidsvillenews.com.